Maria Teresa PAZIENZA is currently full Professor of Artificial Intelligence at the Engineering Faculty of the University of Roma "Tor Vergata" where founded dedicated curricula on AI both at degree and doctoral levels. She coordinates researches and development activities on Artificial Intelligence, Knowledge Representation and Management, Natural Language Processing at the Dept. of Enterprise Engineering where she founded the ART Laboratory in 1988 http://art.uniroma2.it. Her areas of expertise include education, research, system development and user applications of AI technologies (natural language processing, information extraction, conceptual knowledge engineering, applied ontologies, knowledge-based systems, linguistic resources production, linguistic agents, semantic web). She is author/co-author of more than 150 scientific publications. Prof. Pazienza cooperates with several research groups, international institutions and companies for NLP research and application programs. In the context of European consortia/projects, she has been (and currently is) scientific responsible for the activities carried on at the University of Roma Tor Vergata. She is reviewer and evaluator for the European Community, for the Danish Council for Strategic Research, for the Science Foundation Ireland, for Chile Superior Council of the National Fund for Scientific & Technological Development and for the Italian Ministry of University. In 2010 she received the IBM Faculty Award. 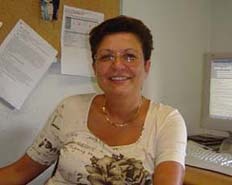 She is in the editorial board of a few international journals( Journ. of Terminology, Cognitive Processing, Applied Ontology), in the scientific committee of CERTIA (academic consortium for cognitive science and applied AI technologies) and participates in the scientific committees of several international conferences on AI. Prof. Pazienza is director of the Unit of Roma Tor Vergata University for CINI Consortium, and is in the Steering Committee of ESA (European Space Agency)-ESRIN and Roma Tor Vergata University Convention.